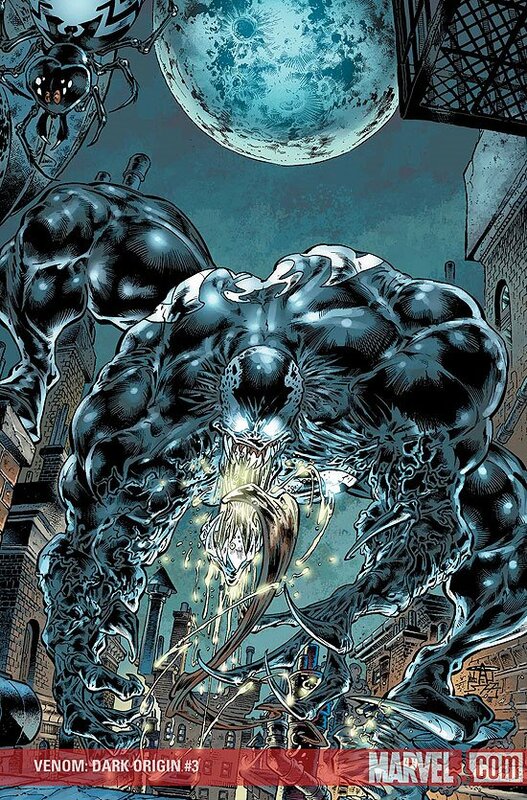 Venom: Dark Origin Chapter 1: Eddie Brock's childhood and college years are described. 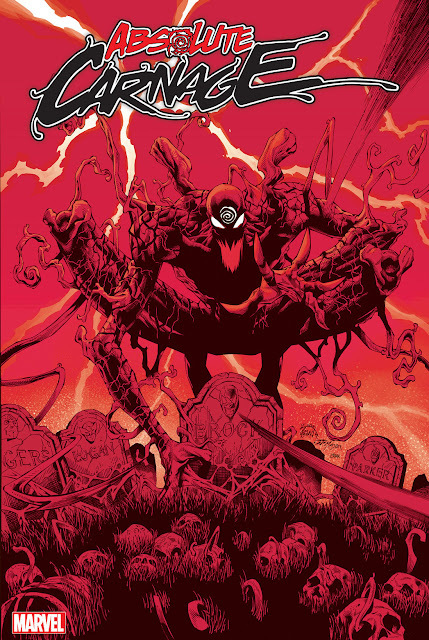 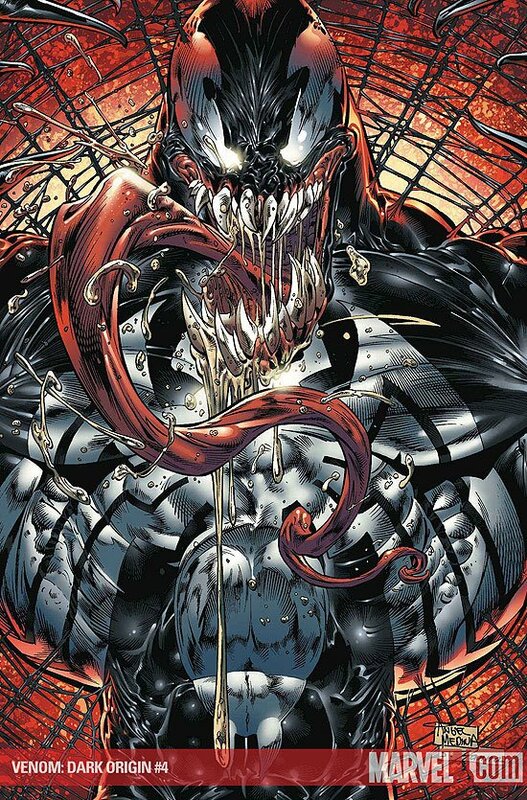 Venom: Dark Origin Chapter 2: Eddie encounters the Sin Eater. 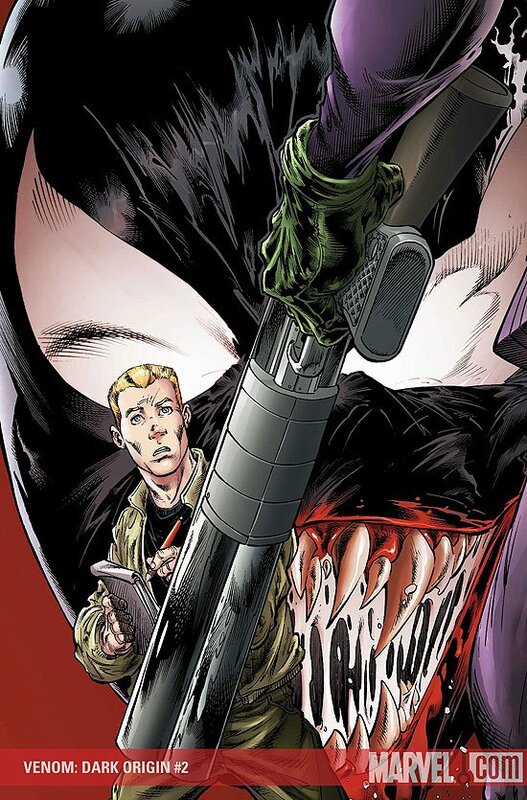 He begins his journalism career writing about him, but is fired when its discovered that the information was being fed to him by a copycat. 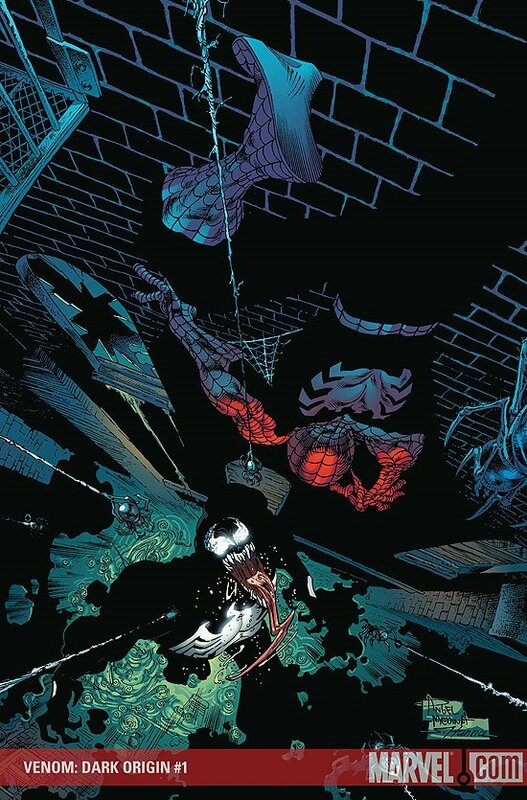 Venom: Dark Origin Chapter 3: Eddie bonds with the symbiote for the first time and seeks revenge on Spider-Man. 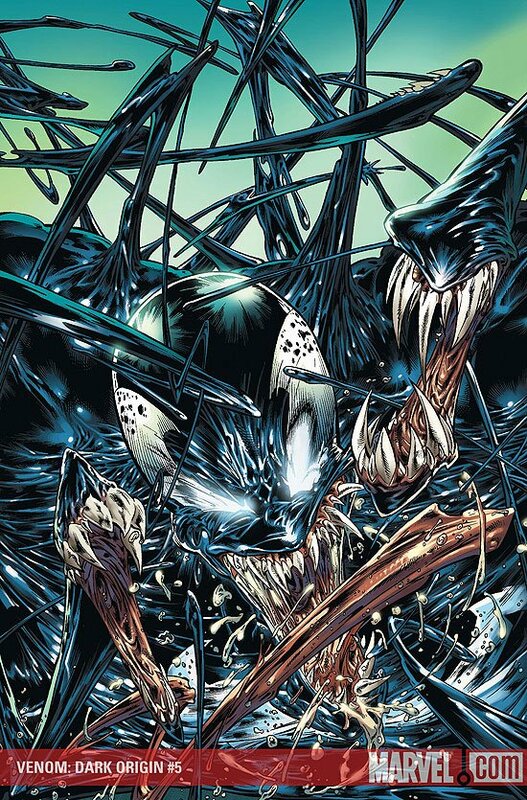 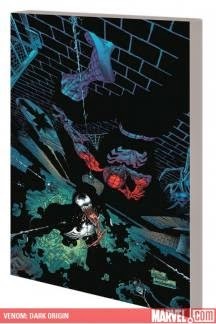 Venom: Dark Origin Chapter 4 - The Ties That Bond: Venom pushes Peter Parker in front of a train and terrorizes Mary Jane.